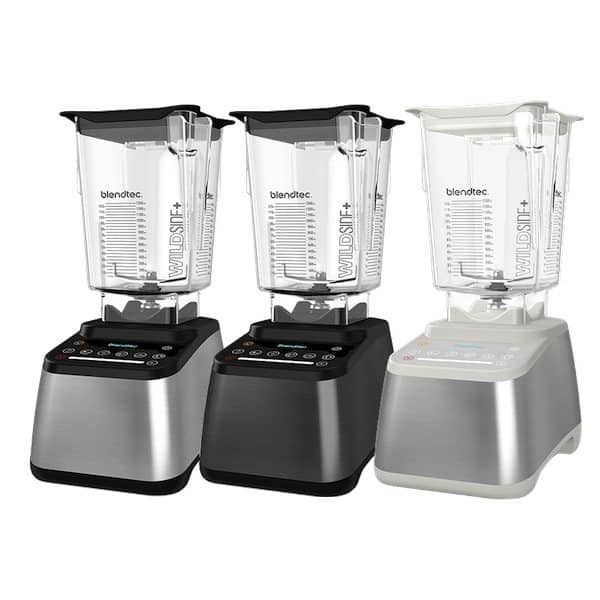 Enter to win 1 of 4 Blendtec Total Blenders! 2. Comment with what you'd make if you won here! 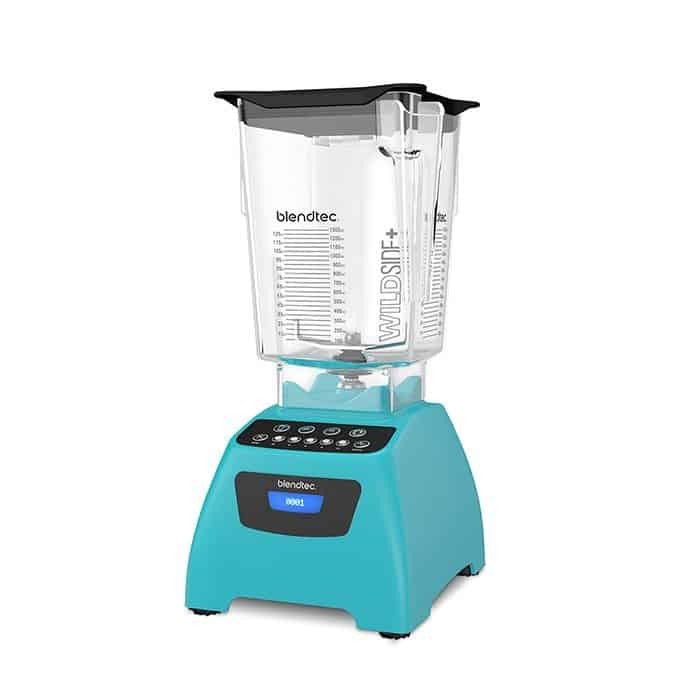 Learn about the Blendtec Total Blender! One of Robyn's favorites. Click here! PURCHASE WILL NOT INCREASE ODDS OF WINNING. PROMOTION VOID WHERE PROHIBITED. PROMOTION OPEN ONLY TO RESIDENTS OF THE 50 UNITED STATES (EXCLUDING RESIDENTS OF Alaska, Hawaii, and Rhode Island) AND WASHINGTON, D.C. WHO ARE OVER THE AGE OF 18 (OR THE AGE OF MAJORITY UNDER APPLICABLE LAW, WHICHEVER IS OLDER). IF YOU DO NOT MEET ANY OF THESE REQUIREMENTS, OR ANY OTHER ELIGIBILITY REQUIREMENTS IN THESE OFFICIAL RULES, YOU ARE NOT ELIGIBLE TO WIN A PRIZE, AND GREENSMOOTHIEGIRL. ("SPONSOR") RESERVES THE RIGHT NOT TO AWARD PRIZES TO YOU. To be eligible to win a prize, entries must be completed and received by Sponsor in the manner and format described below. Directors, officers and employees of Sponsor and any of their respective parent companies, affiliate companies, subsidiaries, agents, professional advisors, advertising and promotional agencies, and immediate families of each are not eligible to win any prizes. All applicable federal, state, and local laws and regulations apply. If the winner resides in a state where any of the prize items are illegal to ship directly to the winner, the winner will not be shipped the illegal items. Limit one entry per person. If any entrant is found to have used multiple or different Facebook accounts, or other applicable accounts to submit more than one entry per person, such entrant will be disqualified. Sponsor, Facebook, Inc., all participating sponsors, and any of their respective parent companies, subsidiaries, affiliates, directors, officers, professional advisors, employees and agencies (collectively, the "Released Parties") will not be responsible for: (a) any late, lost, misrouted, garbled or distorted or damaged transmissions or entries; (b) telephone, electronic, hardware, software, network, Internet, or other computer- or communications-related malfunctions or failures; (c) any Promotion disruptions, injuries, losses or damages caused by events beyond the control of Sponsor or by non-authorized human intervention; or (d) any printing or typographical errors in any materials associated with the Promotion. Promotion Period.The Promotion starts at 10:00 AM (all times Mountain Time) on August 2, 2018 and ends at 04:00 PM on July 31, 2018 (the "Promotion Period"). All entries must be received during the Promotion Period and meet other requirements in these Official Rules to be eligible to win a prize. Instagram entrants-only: 4 $50 gift cards, 4 GreenSmoothieGirl Detox eBook manuals, 4 GreenSmoothieGirl 12 Steps eBook manuals. Odds; Taxes; Etc.Odds; Taxes; Etc. Odds of winning a prize depend on number of eligible entries received. ALL FEDERAL, STATE, AND LOCAL TAXES ASSOCIATED WITH THE RECEIPT OR USE OF ANY PRIZES ARE THE SOLE RESPONSIBILITY OF THE WINNER. All prizes will be awarded. If a prize is returned as undeliverable or otherwise not claimed within 30 days after delivery of notification, it will be forfeited and may be awarded to an alternate winner. Prizes are not transferable. No substitutions or exchanges (including for cash) of any prize or any item in the Prize Package will be permitted, except that Sponsor reserves the right to substitute a prize of equal or greater value for any prize or item in the Prize Package. Limit one prize per household or address. The prizes are awarded "AS IS" and WITHOUT WARRANTY OF ANY KIND, express or implied (including, without limitation, any implied warranty of merchantability or fitness for a particular purpose). Identity of Entrant.In the event of a dispute about the identity of the entrant, entries made online will be declared made by the authorized account holder of the Facebook account used at time of entry. An authorized account holder is defined as the natural person who is assigned to a Facebook account by Facebook. The potential winner may be required to provide Sponsor with proof that the potential winner is the authorized account holder of the Facebook account associated with the winning entry. Comment on the top pinned video post. Promotion Rules.The prizewinners will be determined by a random drawing from all eligible entries to be held at GreenSmoothieGirl., 51 West Center St #345 Orem, Utah 84057 United States on or about September 04, 2018. The potential winner will be notified via Facebook within 30 days of the drawing. To claim a prize, the potential winners must follow the instructions contained in their notification. No Facebook Endorsement.This Promotion is in no way sponsored, endorsed or administered by, or associated with Facebook, Inc. You understand that by participating, you are providing your information to Sponsor, not to Facebook. You understand that by using and interacting with www.facebook.com, you are subject to the terms, conditions, and policies that govern the use of www.facebook.com. You should therefore review the applicable terms and policies for www.facebook.com, including privacy and data gathering practices, before using or interacting with Facebook. Selection of Prizes.Actual model, color, size and features of each prize awarded will be selected by Sponsor in its sole discretion and may vary from photos used in print, electronic, or online advertising, including the Sponsor web site. Use of Winner Name, Likeness, etc.Except where prohibited by law, entry into the Promotion constitutes permission to use each winner's name, Facebook name, hometown, persona, likeness and/or prize information, without limitation, for promotional purposes without further permission or compensation. As a condition of being awarded any prize, except where prohibited by law, each winner may be required to execute a consent to the use of their name, Facebook name, hometown, persona, likeness and/or prize information, without limitation, for promotional purposes without further permission or compensation. Affidavit & Release.As a condition of being awarded any prize, each winner may be required to execute and deliver to Sponsor a signed affidavit of eligibility and acceptance of these Official Rules and release of liability, and any other legal, regulatory, or tax-related documents required by Sponsor in its sole discretion. Winner List; Rules Request.For a copy of the winner list, send a stamped, self-addressed, business-size envelope after August 05, 2018 and before August 05, 2019 to Sponsor at the address listed below, Attn: GreenSmoothieGirl 2018 Blendtec Sweepstakes Winner List. To obtain a copy of these rules, send a stamped, self-addressed business-size envelope to Sponsor at the address listed below, Attn: 51 West Center St #345 Orem, Utah 84057 United States. Intellectual Property Notice.GREENSMOOTHIEGIRL is a trademark of GreenSmoothieGirl. The Promotion and all accompanying materials are copyright ©2018 by GreenSmoothieGirl. All rights reserved. The Promotion and these Official Rules will be governed, construed and interpreted under the laws of the State of Utah. Entrants agree to be bound by these Official Rules and by the decisions of Sponsor, which are final and binding in all respects. Sponsor reserves the right to change these Official Rules at any time, in its sole discretion, and to suspend or cancel the Promotion or any entrant's participation in the Promotion should viruses, bugs, unauthorized human intervention or other causes beyond Sponsor's control affect the administration, security or proper play of the Promotion, or Sponsor otherwise becomes (as determined in its sole discretion) incapable of running the Promotion as planned. Entrants who violate these Official Rules, violate any law, rule or regulation in connection with participation in the Promotion, tamper with the operation of the Promotion or engage in any conduct that is detrimental or unfair to Sponsor, the Promotion or any other entrant (in each case as determined in Sponsor's sole discretion) are subject to disqualification from entry into the Promotion. Sponsor reserves the right to lock out persons whose eligibility is in question or who have been disqualified or are otherwise ineligible to enter the Promotion. Any provision of these Official Rules deemed unenforceable will be enforced to the extent permissible, and the remainder of these Official Rules will remain in effect. If you have any questions about these Official Rules or the Promotion, please e-mail support@GreenSmoothieGirl.com or send written questions to the address listed below, Attn: GreenSmoothieGirl 2018 Sweepstakes Questions. Special! Buy a Blendtec, get a 12 Steps eBook Manual! Any blender you buy through GreenSmoothieGirl.com is going to change your life, and back your new whole-foods lifestyle up with an excellent warranty. 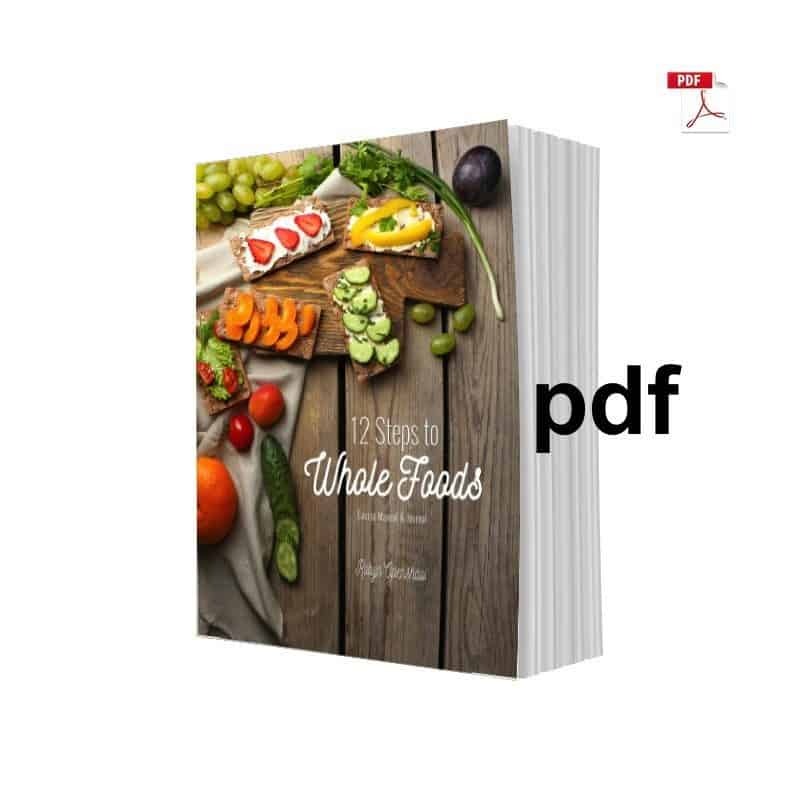 But we’d like to give you, FREE, the 12 Steps to Whole Foods Manual eBook, a $50 value. With nearly 200 recipes, it’s a compendium of best practices in nutrition; Robyn’s complete guide to a whole-foods diet!